Poetry has a magical quality to delve deep into our soul and arouse our imaginations. Photography preserves the epic in the everyday. Words are left brain. Images are right brain. 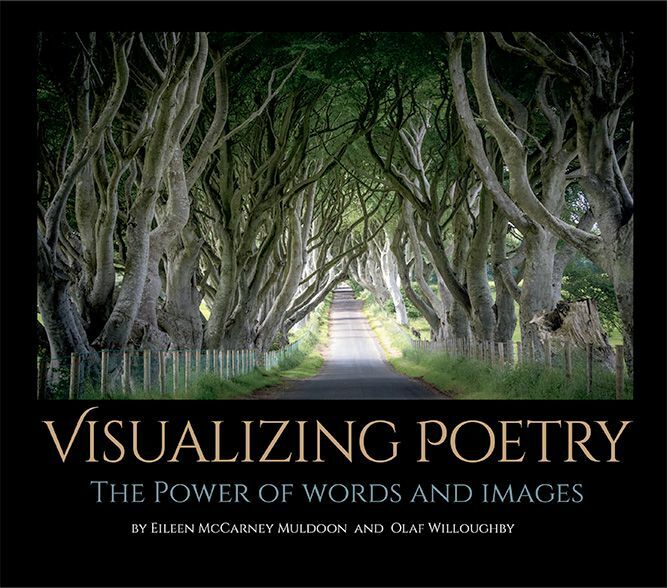 In this book we show how combining photography and poetry adds up to a powerful catalyst for creative thinking. Poetry is frequently rich in metaphor and the process of finding a hook on which to hang a photograph forced us to study the meaning in a way quite different from reading a poem in a book. Suddenly we were not just taking, we were making images with thoughtful deliberation. We established a cycle of thinking, feeling, shooting and sharing. And then we repeated the process with a further five poems and so on. Subtly this shifted us out of our routine ways of seeing and into a deeper aesthetic. These poems have a universal appeal. Our images are personal. Many readers will see different meanings in the words and images. Finding the metaphors and bridging these gaps is part of the joy of this book. We invite you to join us in a visual celebration of the extra dimension that photography brings to these poems.